Loren Eiseley's oft-quoted notion that "If there is magic on this planet, it is contained in water" appears in many places, including the Monterrey Bay Aquarium @MontereyAQ. But should we be drinking this magic? Though perhaps drowned [sic] out by the Flint MI story, today NPR Morning Edition did follow up on earlier reports by WNYC and others. 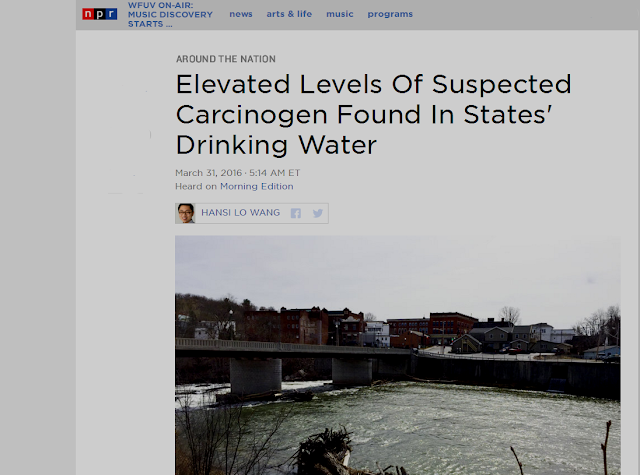 The report highlights nationwide potential risks from perfluorooctanoic acid (PFOA) similar to that experienced in Hoosick Falls, NY. PFOA may be quite ubiquitous in many U.S. settings. From Wikipedia: "PFOA has been detected in industrial waste, stain resistant carpets, carpet cleaning liquids, house dust, microwave popcorn bags, water, food, some cookware and PTFE such as Teflon." The State declared Hoosick's water OK to drink again on 30 March 2016, but, as results from a National Science Foundation grant to Bennington College and other tests seem to suggest, PFOA contamination can be found elsewhere in the region -- and even nationwide. The Apsaalooké or Biiluuke tribe, a Native American Crow Nation based in Montana, is among the groups whose livelihood is tied to tough decisions about coal. 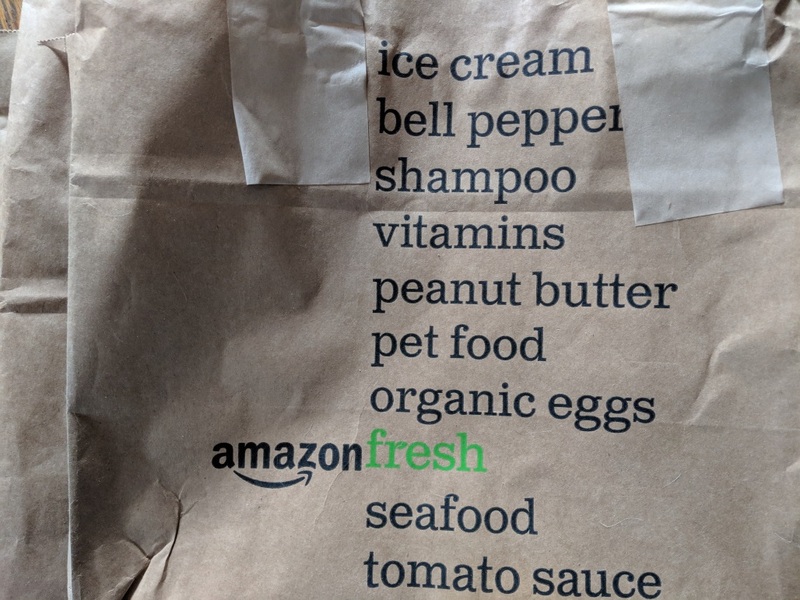 Ironically, despite "a mythology that casts them as stewards of the earth working in harmony with the land," explained a public radio piece, native peoples have been deprived of most of their original land and left with limited resources with which to support themselves. For the Crow, this really comes down to self-sufficiency. In the case of the Crow, they have this resource—they have about 9 billion tons of coal on their reservation. At least for most of the people I’ve talked to, that feels like a way to pull themselves out of poverty, to provide for their families, and provide for their community. Assimilation, warfare, smallpox—all of that we’ve survived. And we’re ‘gonna continue moving forward to survive, and the only way I know how now is to develop our coal. What I’m doing is in the best interest of my people. Whether the Crow Nation's plans to build a second coal mine with Cloud Peak Energy in an era when more than 60 coal-burning power plants have been shut down can come to fruition is unclear. For one thing, the Crow Nation faces objections from environmentalists and, ironically, other tribes in its aim to build new ports in Washington state. With coal prices at a 10-year low, and domestic consumption hardly a growth industry, specialists have said that new ports are thought needed to export the coal to foreign markets. Such plans would also face opposition from successful campaigns such as the Sierra Club's Bloomberg-financed Beyond Coal. Two thousand miles away, much of the state of West Virginia is in the throes of equally wrenching decisions about its relationship to coal. A Washington Post report in 2014 surveyed several studies of the impact of coal on the central Appalachian region. It asked whether the "resource curse" associated with African countries also afflicts areas of the U.S. associated with long term coal mining operations. There is considerable evidence to support the conclusion, as many of the areas of high poverty levels and lower incomes are clustered in coal-heavy regions. For many West Virginians, the relationship with coal is openly rueful. Theirs had been a bountiful connection until the full impact of the industry on the state's environment became clearer, and even now the heyday of coal is seen by many as a better day. It was an addiction of consumption in which the entire nation indulged, but whose withdrawal is impacting West Virginia far more than California or New York. As is the case with the Crow Nation, West Virginia citizens are left to cope with the economic disruption of coal's fall from favor. It explains much of the seeming indifference to coal's impact on climate change. As much as I had read about this strip-mining practice used to extract coal in the cheapest, dirtiest, and most profitable way possible, I could not begin to understand the way it infused disaster . . . I had looked out the window of the plane and seen gaping, moon-like craters in the mountains like chunks blown out of a radiated head. Once arrived, walking down the snowy driveway of the hollow and feeling the underworld shudder with a muffled boom made my skin feel raw. Danger was by no means a threat posed to the mountains alone. Mountaintop removal made a weapon out of nature itself. 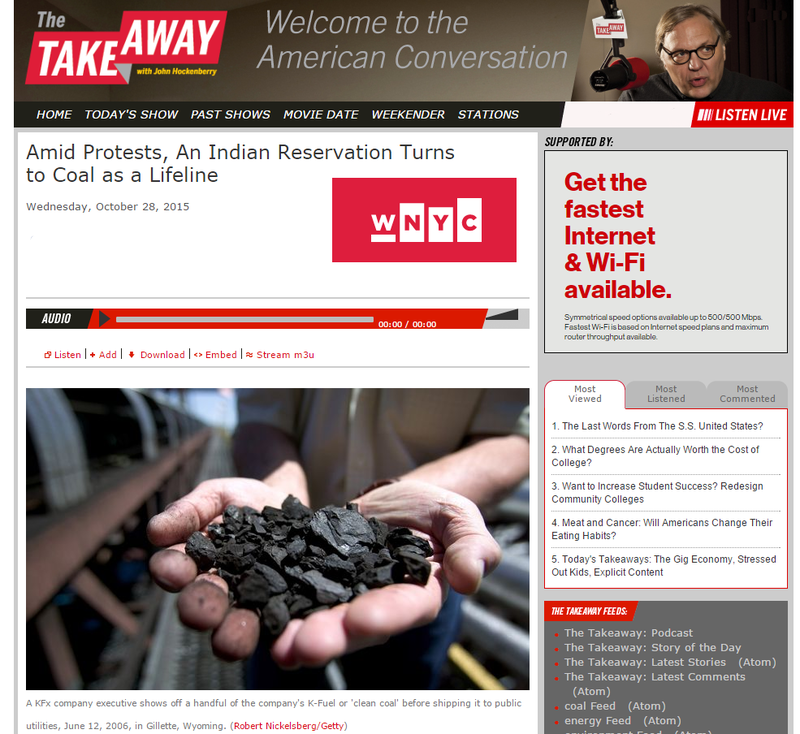 Reporter Any Martin's @AmyMartinMT full piece, "Why Montana's Crow Tribe Turns to Coal as Other Turn Away," is at InsideEnergy.org, a public media collaborative.